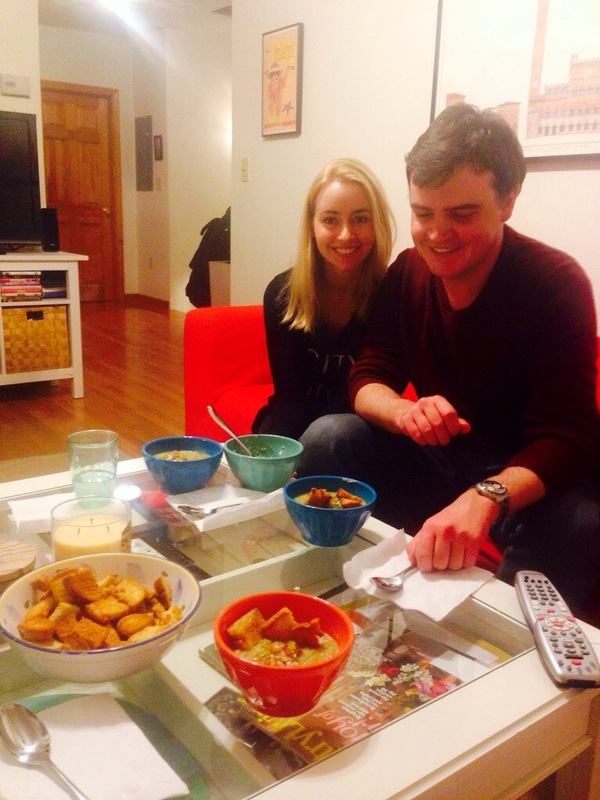 Yesterday I made this awesome and easy roasted cauliflower soup for mark and Ashley deck. I used this recipe from food52 (where else) for inspiration but obviously did not include any of the dairy. I also used both the white and green parts of the leek and subbed the water for chicken broth. 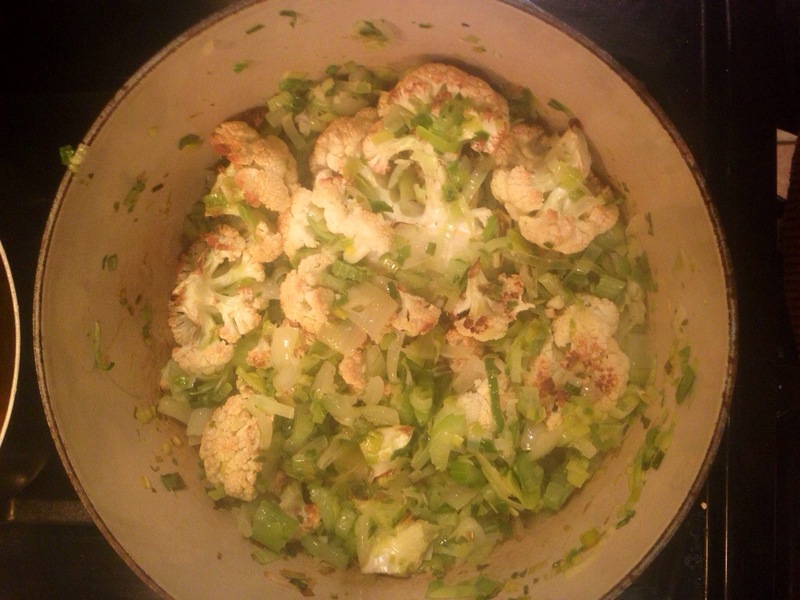 I also let the cauliflower/veggie/broth mixture simmer for 20 minutes to really soften the cauliflower (which actually wasn’t that tender after 30 minutes in the oven. I think next time I’ll raise the oven temp to 400. I also made this bacon vinaigrette that I sent you a while ago. I don’t think I’ve ever had soup with a vinaigrette topping but I am SUCH a fan. I guess it doesn’t hurt that it’s really just a vehicle for bacon. It’s a very quick, healthy (minus the vinaigrette) meal that can easily be doubled to feed a crowd. The veggies are probably easy to find in Paris. I would absolutely give this a try. 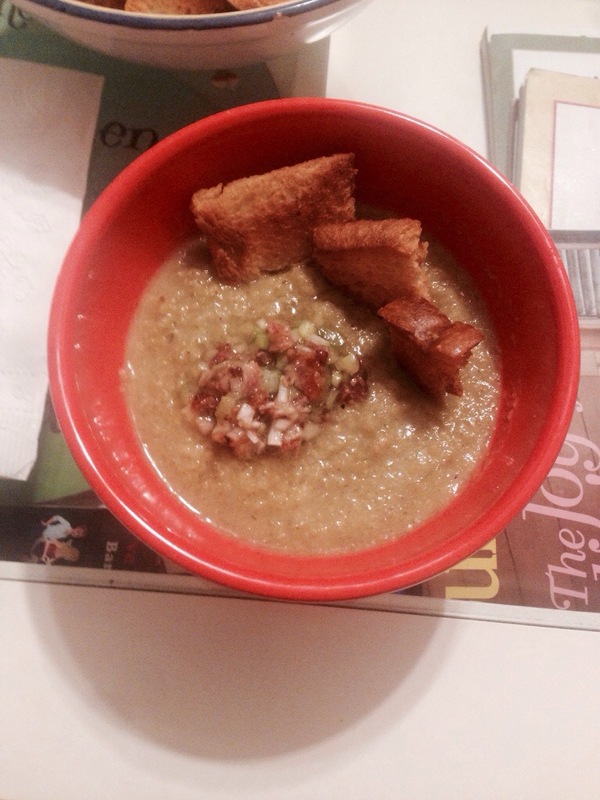 This entry was posted in weeknight and tagged bacon, cauliflower, good for a crowd, healthy, leek, weeknight. Bookmark the permalink.